In California, employment is at will, which means that in most cases either the employee or the employer may terminate their employment relationship at any time. An employer may not terminate an employee for a reason that is illegal or in violation of public policy, however. For example, an employer may not terminate an employee based on a protected characteristic like race, although an employer may terminate an employee for low productivity. In some cases, an employee's written employment contract may expressly limit the grounds on which the employer may terminate the employee. If you believe that your employer breached your employment contract, you should consult our Los Angeles employment law attorneys about whether you may have a case. At Gallenberg PC, our team does not charge potential clients for an initial consultation. The best and fastest way to get a case evaluation is through our online form. 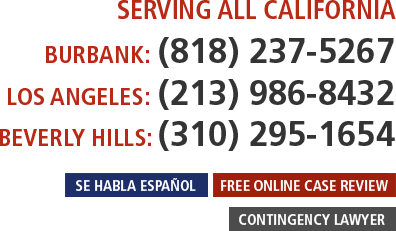 Or you can call us in Burbank at (818) 237-5267, in Los Angeles at (213) 986-8432, or in Beverly Hills at (310) 295-1654. Most employees are at will, but there is an exception if an employee has a contract for a specific time period. If an employer does not follow the terms under which termination may occur as set forth in the employment contract, it may be liable for breach of contract. For example, an employment contract could provide for an employment term of one year with the possibility of renewal, and it could require that an employee only be terminated before that time period for good cause. If the employer and employee enter into an employment contract, both parties must honor the contract terms. Often, a handbook is part of the employment contract. If there is a discipline system specified in the employment handbook, the employer must follow this system. If it fails to follow the steps set forth, it has breached its employment contract. Although employment is generally at will, you can potentially bring a wrongful termination claim if you are terminated in violation of public policy, even if your employment contract does not expressly say so. In most cases, you will need to establish that your termination violated the Fair Employment and Housing Act (FEHA) or that there is another statute that prohibited your employer from firing you, such as a whistleblowing statute. In California, you may be able to recover compensation if you are able to prove you suffered losses as a result of a breach of an employment contract. Among the damages you can potentially recover are expectation damages, which are designed to compensate you for the loss of a bargain due to an employer's failure to abide by the employment contract. In wrongful termination cases, for example, you may be entitled to the salary you would have earned on the job. Generally, you have a duty to mitigate your damages. This means that you need to immediately begin searching for a new job, even if you have been wrongfully terminated. The employment contract may also limit or modify the damages to which you are entitled in the event of a breach. Employers must abide by the terms set forth in their handbooks and employment contracts, as well as anti-discrimination statutes, whistleblowing statutes, and public policy. If you are harmed by your employer's breach of an employment contract, you should consult an experienced Los Angeles employment law lawyer. At Gallenberg PC, we represent employees in many Southern California cities, including Burbank, Beverly Hills, Pasadena, Santa Monica, Van Nuys, Glendale, Downey, and Inglewood. We also can assist people who need an employment discrimination or workplace harassment attorney. Call us in Burbank at (818) 237-5267, in Los Angeles at (213) 986-8432, or in Beverly Hills at (310) 295-1654. For the fastest response, contact us through our online form for a consultation.